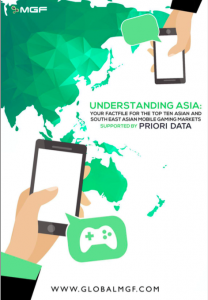 London, United Kingdom, April 12, 2016 /ChinaNewswire.com/ - Working in conjunction with Priori Data and examining ten Asian markets, the report concludes that the likes of Vietnam, The Philippines and Indonesia could become mobile gaming powerhouses – with the right investment in infrastructure. George Osborn, Editor of MGF, said, "South East Asia has the potential to become a major mobile gaming market for publishers across the world. Boasting nearly a billion potential players and rapidly growing its mobile infrastructure, South East Asia could prove a real opportunity for developers looking to grow their user base." Local publishers rule the roost in China, Japan and South Korea, while less developed or foreign publishers dominate smaller territories, such as Singapore or Malaysia. Paid games such as Minecraft, The Room 3 and Terraria appear in top grossing charts in South East Asian countries, such as Indonesia and Vietnam. EA and Supercell perform best of the Western publishers, with both companies appearing in top ten grossing iOS and Android markets in eight territories across the region. View the fact file which explores the state of affairs in ten Asian territories. Sanya, China, April 11, 2016 /ChinaNewswire.com/ - Top honeymoon destination, Mandarin Oriental, Sanya has launched its Art of Romance accommodation package for couples seeking a romantic getaway. Built with privacy in mind to ensure a peaceful and relaxing stay, the resort has elegant guestrooms with beautiful sunset views, making it an ideal lovers' retreat. [email protected], phone +86 (898) 8820 9999 or visit www.mandarinoriental.com/sanya. Enjoying the privacy of a secluded 1.2 km nationally protected coral bay and nestled amongst lush tropical flora, Mandarin Oriental, Sanya is an exclusive retreat where nature is celebrated and tranquillity is assured. The luxury resort features a series of private low rise and villa accommodation with ocean and tropical garden views, innovative restaurants and bars, recreational facilities for both adults and children, a blissful Spa Village and distinctive indoor and outdoor conference and banqueting facilities. 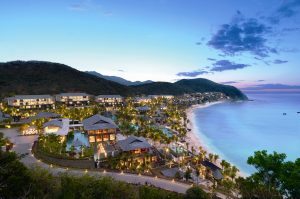 Located just 20 minutes from Sanya International Airport, the luxury resort provides convenient access to all of the area’s major tourist attractions. Mandarin Oriental Hotel Group is the award-winning owner and operator of some of the most luxurious hotels, resorts and residences. 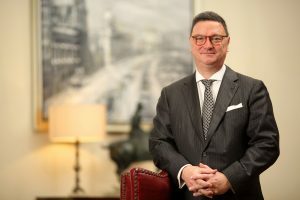 Having grown from a well-respected Asian hotel company into a global brand, the Group now operates, or has under development, 46 hotels representing 11,000 rooms in 24 countries, with 21 hotels in Asia, nine in The Americas and 16 in Europe, Middle East and North Africa. In addition, the Group operates or has under development, 15 Residences at Mandarin Oriental connected to its properties.